Editable: All shapes, Colors and text are editable. NOTE: We recommend our users to use latest version of software to get best output. 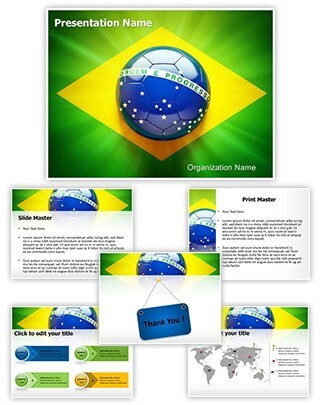 Description : Download editabletemplates.com's premium and cost-effective Brazil Football Flag PowerPoint Presentation Templates now for your upcoming PowerPoint presentations. Be effective with all your PowerPoint presentations by simply putting your content in our Brazil Football Flag professional PowerPoint templates, which are very economical and available in , green, yellow, blu colors. These Brazil Football Flag editable PowerPoint templates are royalty free and easy to use. editabletemplates.com's Brazil Football Flag presentation templates are available with charts & diagrams and easy to use. Brazil Football Flag ppt template can also be used for topics like round,south america,soccer,play,brazil flag,graphic,country,leather, etc.